Bonefish & Tarpon Trust	Healthy Habitats. Healthy Fisheries. Healthy Brand. With a focus on Florida – specifically the Florida Keys – Bonefish & Tarpon Trust is on a mission to conserve the fisheries that are home to some of Florida’s most popular fish species, bonefish, tarpon, and permit. Their motto “Stewardship Through Science” embodies their dedication to protecting these fish with hard data and real numbers, proving that these fisheries are in danger and need to be conserved. 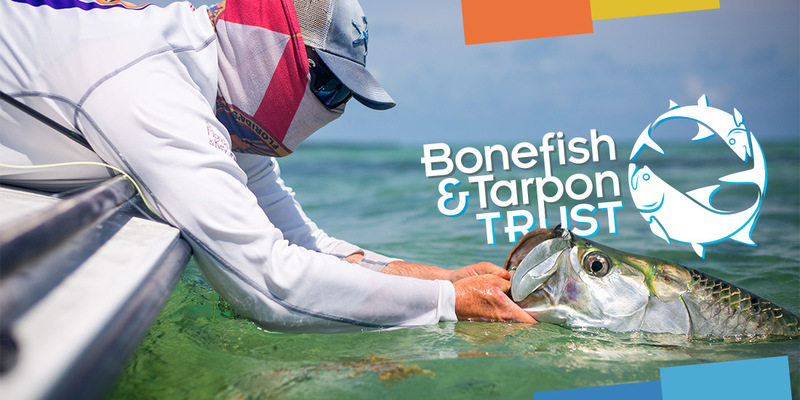 Through our partnership with Bonefish and Tarpon Trust, we’ve been able to support a cause we truly believe in while giving the non-profit a contemporary marketing vehicle – one that exudes seriousness about the cause while keeping it light and engaging. From tweaking the logo to building a new website from the ground up to new print materials, we’ve positioned Bonefish & Tarpon Trust as the conservation agency for Florida’s fisheries. When we approached BTT, we knew one of the first items we would need to tackle was their aging website. As we see in many cases, the site just wasn’t up to par by today’s marketing standards and was falling short of helping them achieve their goals. On top of that, it was evident that much of their offline collateral such as ads, flyers and brochures were also in need of a facelift. As we were already quite familiar with the organization, we were able to jump right in and offer our marketing services – updating their logo and rebuilding their website. As a result, BTT now has a brand that looks fresh and modern, a website that’s great at collecting donations and signing up members, and print materials that sell the mission offline! Thank you very much for all of your hard work! We’re fortunate to work with you all and really appreciate all of your support, expertise, and creativity. Thrive has upped BTT’s game for sure, and we seriously could not do it without you. The first step in our signature process, WAYPOINT, is the Discovery phase. During “Discovery”, a comprehensive brand audit is performed to let us and our Client know exactly where the visual brand, messaging and voice stand from the outset. By having that understanding from the beginning, we can more accurately diagnose and prescribe a clear path forward in the Client’s marketing efforts. And that’s exactly where we started with Bonefish and Tarpon Trust. The logo for Bonfish and Tarpon Trust has long been established and is recognized across the sportfishing industry – yet, it too was beginning to show its age. We knew the logo needed to be updated but both BTT and ourselves wanted to maintain the logo’s integrity. We cleaned up the existing logo and introduced a new color standard for the overall brand, which supports their audience, matches the new brand tone, and aligns with the new collateral we’ve developed. Every company needs a core set of print materials including business cards, envelopes, and letterhead. A company’s identity package is typically one of the earlier projects we take on, once a logo is finalized. The identity package supports overall business goals and aids in putting the right foot forward in every day communications and marketing. By redesigning BTT’s identity package, we incorporated their new color palette, revamped logo and elements from mood boards we had created. The result is a corporate stationary package that marries with the overall marketing direction and helps to communicate their mission.